Bernard told Cayce that Bigend just hired Dorotea that morning. During the meeting, Cayce got to know all the truth behind Dorotea. She knew Dorotea was the one who sent two mans to attack her in Tokyo and got therapist’s notes to scare her with the Michelin Man. Boone told Cayce about the thing she don’t know and make her want to work with him again. At the same time, Boone is flying to Columbus, Ohio to find out the watermark on the footage. Cayce met with Magda, Voytek and Ngemi in a restaurant. In their conversations, they talked about Cayce’s stay in Tokyo, the calculators and have a debate on whether Hobbs is a spy or not. All of these made Cayce thought of her father’s life and job. Cayce went to F:F:F website again and received several emails. Ivy sent her email about Mama Anarchia knew she was in Japan and knowing her as an old friend. Her Australian friend Margot who does some sort of cleaning for her apartment sent her email about some strangers was in her place. After Cayce went to bed, she had a dream about her father again. Her father sent her massage about what to do next. Then, Cayce asked Ngemi to take her seeing Hobbs. They went to his place by a train. Hobbs lives in Gypsy family which is a prohibited place to unauthorized person. Hobbs didn’t have a pleasant conversation with Cayce but had a gun in his left hand. Frankfurt- (p.211) The business and financial center of Germany and the largest city in the German state of Hesse. Roppongi- (p.218) A district of Minato, Tokyo, Japan. The nightlife is known to be popular with westerners and many foreign embassies are located here. Maharashi- (p.221) Known as one of the United Kingdom’s most famous boutique labels. 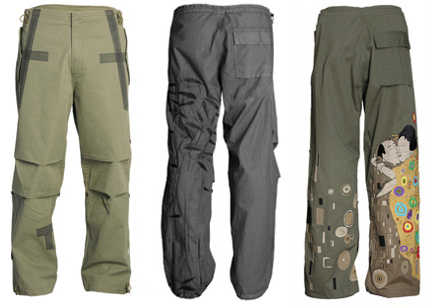 Also known as the originator of the parachute pants. 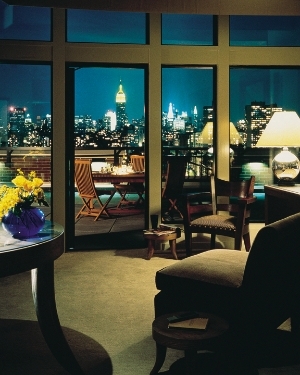 SoHo Grand- (p.236)A New York boutique hotel offering luxury accommodations; on West Broadway- very expensive. Amharic- (p.242) The Semitic language that is the official language of Ethiopia. In the very beginning of this section there is more confrontation between Cayce and Dorotea. We come to find out that the person who tired to mug Cayce was Dorotea's driver. Dorotea is defending her driver in this case. I feel that this part has a significant effect on how the book is going to lead into the final stretch. It seems as though attitude is to defend everyone she knows except Cayce. Here she tries to tell Cayce that if she was an inch shorter than she would have killed her driver. Well this may in fact have been true but what about the fact that Cayce needed Dorotea's to defend herself from being mugged? It is especially aparent that something between the two of them will happen since Dorotea has been hired to work for Blue Ant. This part is very well written and it shows the true emotions that Cayce has for her. I finally feel like in this section there is much more action keeping the readers much more interested in the story. Unlike the rest of the book, it is becoming much more interesting since Cayce has been in Japan and I can only hope that it will remain this way for the rest of the novel. After returning to Damien's apartment she gets another call this time from Magda and yet another meeting. This seems very familiar and is just like all of the other meetings in the sense that I have become lost in the extensive conversations that I feel mean nothing. The issue with all of these long meetings that have more than two people speaking is the fat that it is very hard to follow who is talking at each point and even harder to try to analyze the conversation at the same time. Although the book at picked up in intensity I feel that this is leading into another fifty pages of boring literature and it needs to pick up on the action quickly or I feel we will all be lost again.